On April 30, 2013, Willem-Alexander was inaugurated as the new King of the Netherlands. Amsterdam invited 1100 journalists and newspapers, TV stations, press agencies and camera crews from 50 countries. The city dressing on inauguration day included 1100 flags and banners, more than 500 bus shelters and illuminated billboards, 30 dressed buildings, 140,000 paper crowns and huge animations projected at various venues. Two months before the inauguration, we were invited to a one-week pitch. 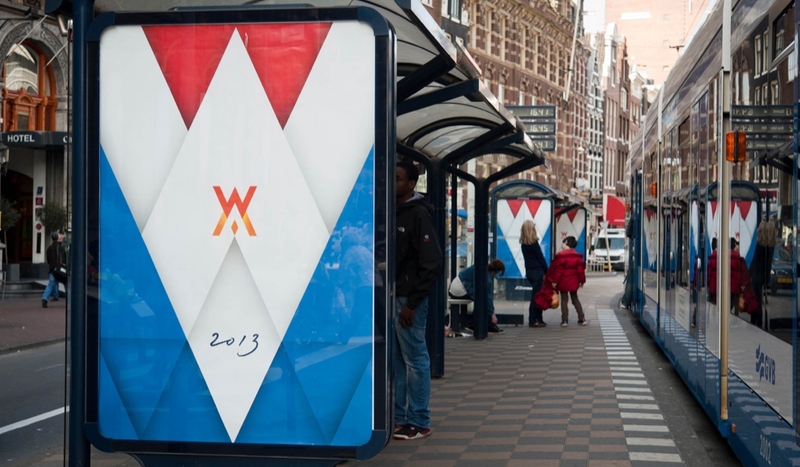 The brief was simple: create a visual identity that is both festive and regal, something with red, white and blue around Dam Square, where the official part of the ceremony would take place, and something with orange and ‘I Amsterdam’ in the rest of the city, where the annual Queen’s Day festival was held. The most important condition: no crown in the design, because it was not an official coronation. And we were not allowed to use images of the King or any text. We needed something more than the colours, a strong symbol. 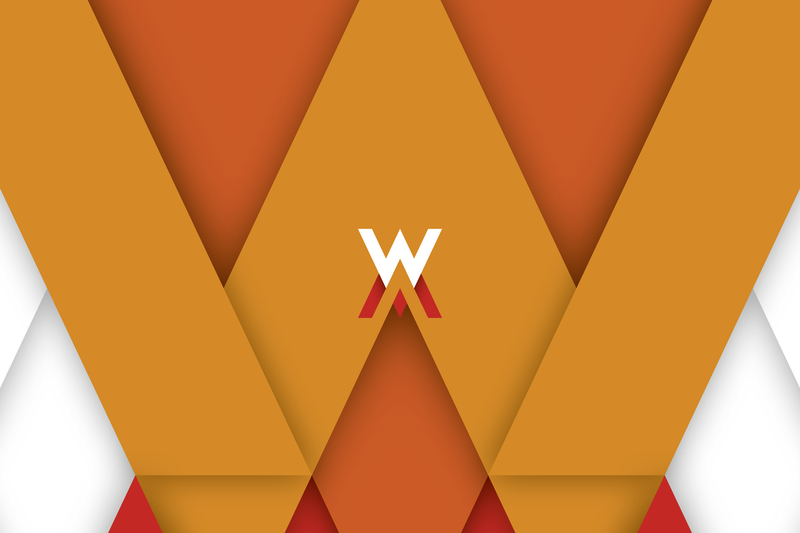 That’s how we arrived at Willem-Alexander’s existing monogram. He had commissioned the design himself and we actually didn’t know if we would be allowed to use it. We took the risk and were very relieved when we heard that we’d won, and the King allowed us to use our interpretation of his iconic monogram as a key element in the identity. The rest of the design speaks for itself.